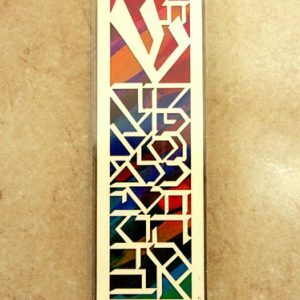 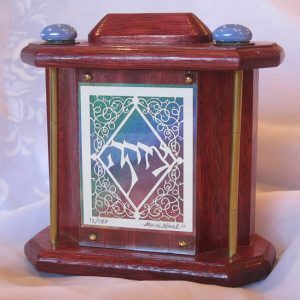 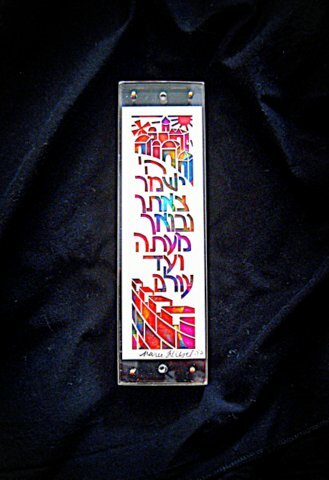 Every time one passes by and kisses this mezuzah case, he will invoke the meaning of the words of the prayer that adorns it. 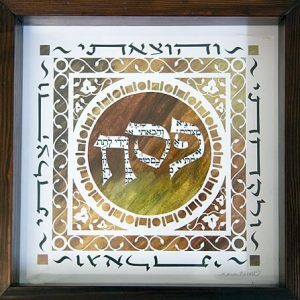 Taken from the Book of Psalms, chapter 121, which is a declaration of faith and a prayer for G-d’s constant protection, the final verse says it all as it stands at the center of this design. 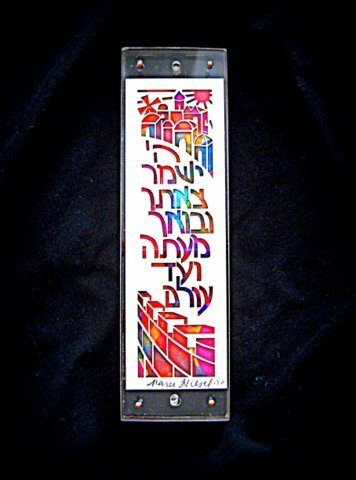 The verse states that G-d will watch over you as you go and He will watch over you as you come, both now and forever. 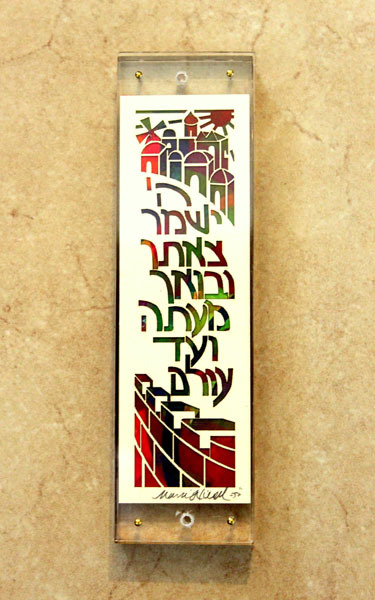 Also depicted is the glorious, majestic, everlasting city and wall of Jerusalem, another symbol of G-d’s continuous love and protection, now and forever.